Kefalonia Greece How To Get To Kefalonia. A charter flight on approach to Kefalonia Airport. 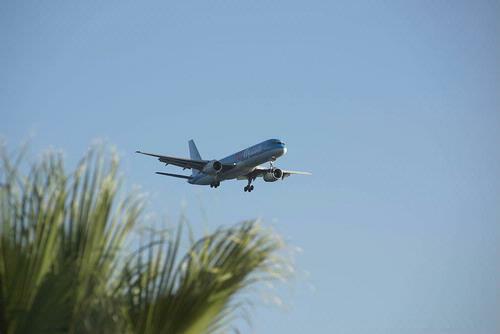 Most visitors to the Island from the UK will arrive by charter plane. Kefalonia airport lies approx. 9 Km from Argostoli. Flights are operated by the main tour operators and depart from 11 UK airports. The independent traveller wishing to fly can either book a flight with one of the tour operators or travel via scheduled airlines to Athens and then catch the daily Olympic Airways flight to Kefalonia. These scheduled flights operated year round whilst the charter flights usually operate May to October. Charter flights tend to be fully booked in the high season, though last minute flight bargains can sometimes be found. A ferry in the harbour at Poros. In high season, Endeavor Lines operate from Sami to Igoumenitsa and to Bari in Italy. For up to date Ferry timetables, prices and booking see either www.greekferries.gr or www.greekislands.gr. Both sites are in English. Ktel buses operate a daily service to Kefalonia from Athens. The service departs Athens suburban bus station at 100 Kifissou Street and travels to the port of Kylini where connections are made for the ferry to Kefalonia. The bus journey to Kylinni takes approx 4.5 hours. The bus travels on the ferry to Poros and continues to Argostoli. 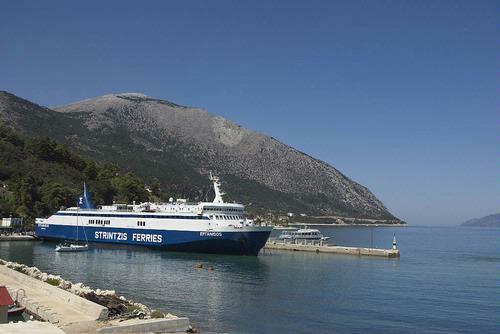 From Kylini, ferries operate daily to Poros, Sami, Lixouri and Argostoli. Daily train services link Athens to Patras and Kavasila. At Kavasila passengers change trains to take the local train to Kylini, then ferries as above.